The offseason recruitment of marquee free agent Bryce Harper by the handful of MLB teams that are actually trying to be good has begun in earnest, and Jeff Passan has a report detailing a few teams’ strategies for enticing the 26-year-old former MVP. It’s going to take a shitload of money to sign Harper, to be sure, but a bunch of franchises have money. To woo Harper, teams will need something extra to offer. Something like, say, a man in his late 40s who is inextricably associated with their much more talented division rivals. 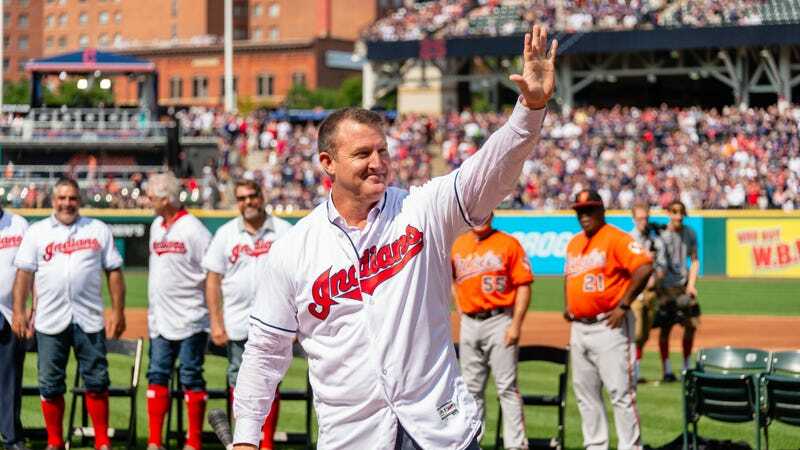 The White Sox, for example, enlisted the help of longtime star and Hall of Famer Jim Thome during their visit to Las Vegas, league sources told Yahoo Sports. They needed to pull out all the stops, with Phillies ownership admitting the potential to spend “stupid” amounts of money this offseason and the Dodgers, with the second-highest revenues in baseball, calling upon [minority owner Magic Johnson] to potentially help score his second free-agent coup of the year. Thome didn’t have the surf to sell, obviously, but he’s as much of an expert as you’ll find on the benefits of putting on a White Sox uniform. He spent four seasons on the South Side, witnessed firsthand the aftermath, if not the actual event, of a World Series winning team and can speak to getting the royal treatment in his post-playing career. The Sox will evidently wait until they send Scott Podsednik and Bobby Jenks to Las Vegas to fill Harper in on the actual feeling of a championship win.